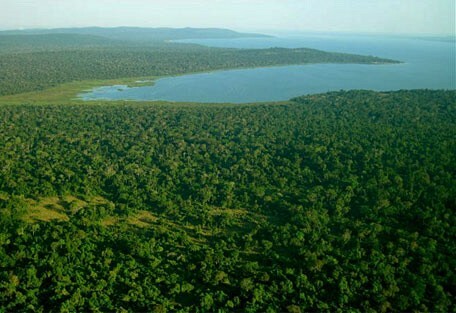 Rubondo Island, in the south west of Lake Victoria, is one of Tanzania’s smallest National Parks. It has the best of both sandy beaches and forest refuge, home to chimpanzees and the rare African Grey parrot, among other wild wonders. Rubondo Island, in the south west of Lake Victoria, is one of Tanzania’s smallest National Parks, occupying an entire island. Lake Victoria is an inland sea sprawling between Tanzania, Uganda and Kenya. The 240 sq km island, also known as The Jewel of Victoria, provides an unforgettable experience for visitors, exploring the main island and 11 smaller islets, combining the breath-taking natural beauty of a forest refuge with the relaxing tranquility of sandy lake-shore beaches. Rubondo Island is on a rift in the lake and essentially consists of a partially submerged rift of 4 volcanically formed hills. The habitat is mixed evergreen and semi-deciduous forest, which covers about 80% of the island’s surface area, hosting a variety of common species. The eastern lakeshore is characterised by rocky areas and sandy beaches whilst the western shore supports extensive papyrus swamps, lined with date palms. 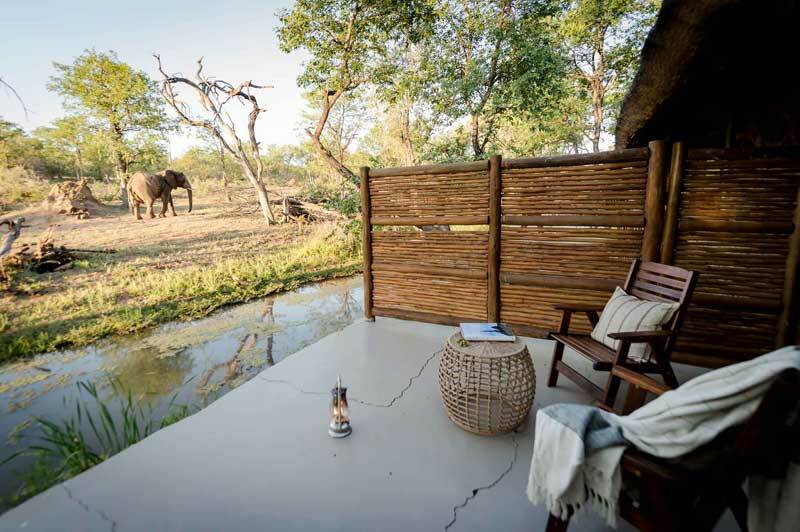 Among elephants the roam the island and the hundreds of birds, guests can embark on forest walks,canoe trips, chimpanzee trekking, catch-and-release fishing and a variety of other activities that promote eco-sensitivity. Lake Victoria is the world's second largest lake and is often referred to as an 'inland sea'. The Lake is also the source of the longest river in the world, the River Nile. Rubondo Island became a game reserve in 1965 to provide a sanctuary for animals, and was gazetted as a National Park in 1977. It is a protected haven for rare species, like the chimpanzee and the African grey parrot. 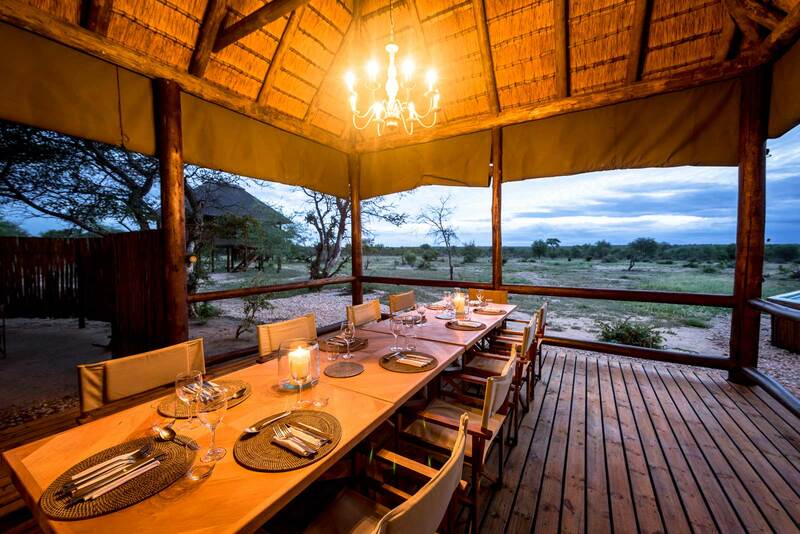 Rubondo Island Camp is the only accommodation within the park and offers a secluded and unrivalled experience with this very unique part of nature. Due to years of uninhabitation on Rubondo Island, 80% of the island remains forested today. Almost half of the island is made up of water, containing 11 vegetated islets. Rubondo island Camp is a newly established luxury safari-come-beach holiday destination on Rubondo Island, Lake Victoria. 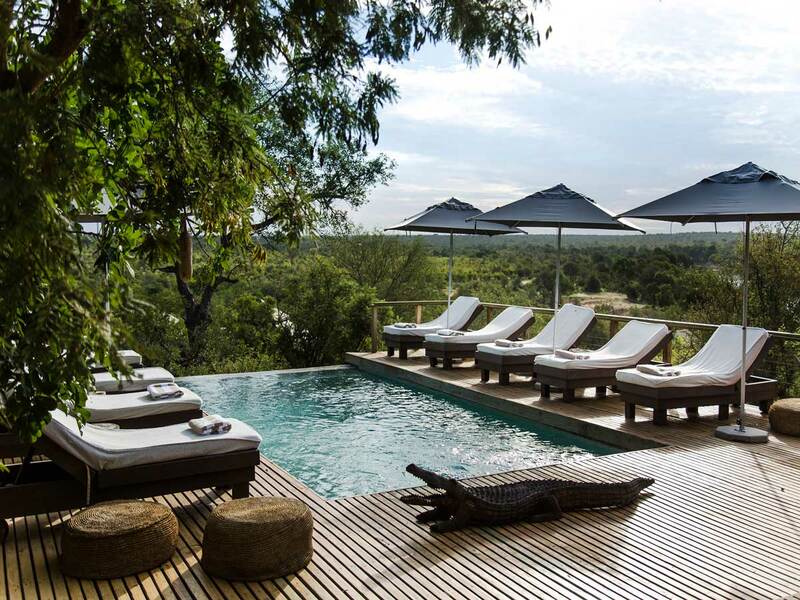 It aims to offer a relaxing, post-safari beach alternative, home to indigenous and introduced fauna and flora. A number of indigenous mammal species - hippo, vervet monkey, genet and mongoose - share their protected habitat with introduced species such as chimpanzee, black-and-white colobus monkeys, elephant and giraffe, all of which benefit from Rubondo's inaccessibility. 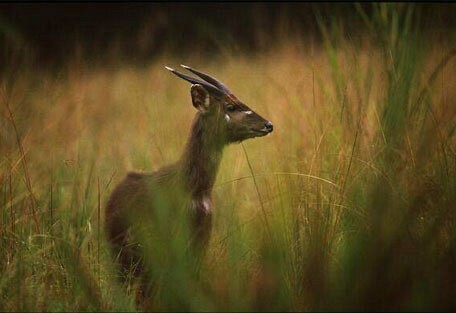 Only here can the visitor be sure of seeing sitatunga antelope and have the chance of observing small gangs of chimpanzees. 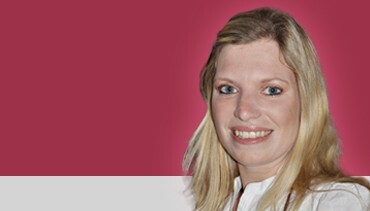 Frequently seen mammals include hippos, otters, bushbucks and vervet monkeys. Rarer sightings are genet, colobus, marsh mongoose and suni antelope. Rubondo is a paradise for bird-lovers, with nearly 430 species documented on the island. The diversity of habitats, together with its geographical location in the heart of Africa, attracts numerous resident and migrant birds. 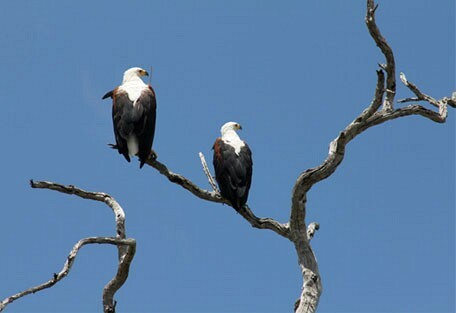 The island has an abundance of water birds and the highest density of fish eagles in the world. Rubondo is now home to flocks of African grey parrots – released onto the island after they were confiscated from illegal exporters. The main rainy season, or the 'long rains', lasts during March, April and May. Afternoon downpours are the norm, which are heavier and more predictable beside the coast and on the islands. The annual temperature at Rubondo Island is mild at 19-26 degrees Celsius. During November and December there's another rainy season, which is known as the 'short rains'. These are much lighter than the long rains and less reliable. If it has rained during the short rains, then it normally dries up for a few months in January and February, which is Tanzania's 'short dry season', before starting to rain again in earnest in March. The wet season at Rubondo is best for viewing migratory birds. There is only one camp in Rubondo National Park, however there are hotels and lodges near Lake Victoria that offer visitation on the island. We recommend going for the whole experience and booking in at Rubondo Island Camp so that guests can experience both the night and day in this special place. 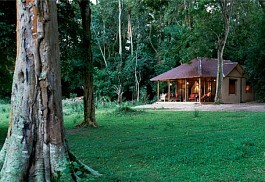 Rubondo island Camp is a luxury safari-come-beach holiday destination. Located under a forest canopy with sweeping views over Lake Victoria, the 8 spacious rooms are set just 60m from the shores of Lake Victoria. The small and exclusive camp was constructed using local materials to blend in with the island’s natural vegetation. 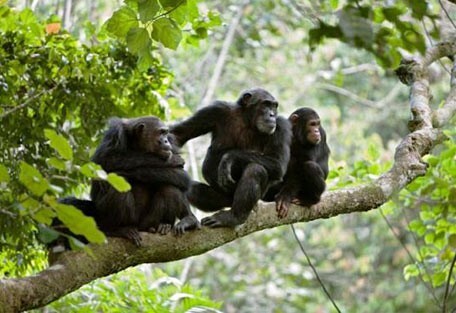 On land there are guided forest walks on offer, chimpanzee scouting, excellent bird viewing and game drives through the dense forest. 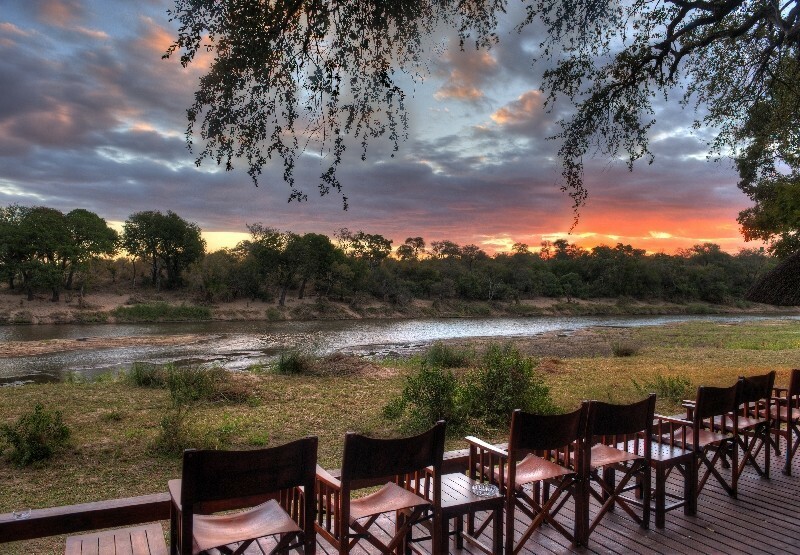 Out on the water there are world class fishing opportunities and superb boat-based game viewing possibilities. There are two fishing boats available for half day hire. Rubondo Island can be accessed by plane and by road. 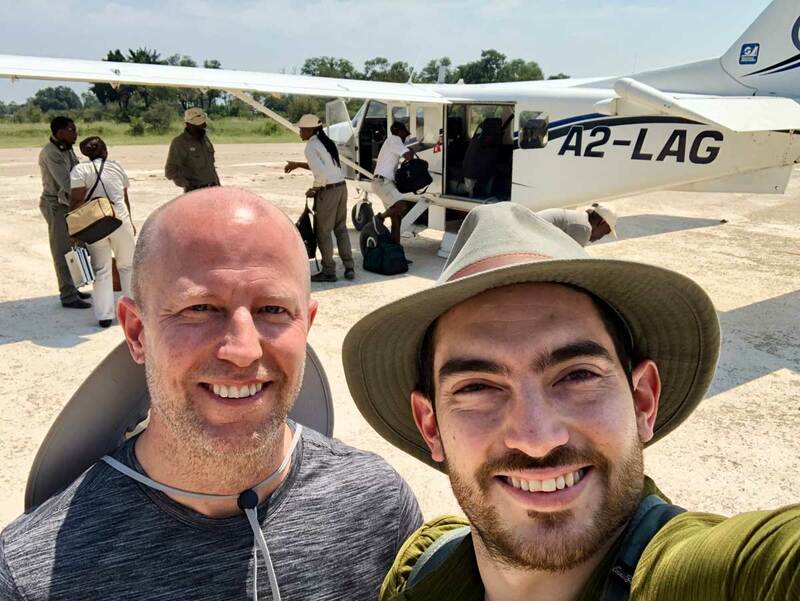 Guests will most like take a chartered flight from Arusha to the Rubondo airstrip, depending on itinerary.